It is indeed a challenge! 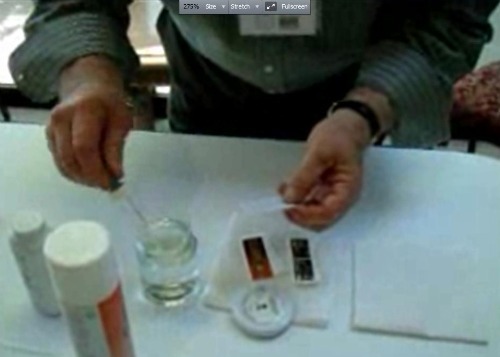 Since the issuance of self-adhesive stamps by worldwide postal administrations in the 90’s , stamp collectors and stamp dealers had to find techniques to successfully remove the stamps from the envelopes on which they were tied to without damaging them. 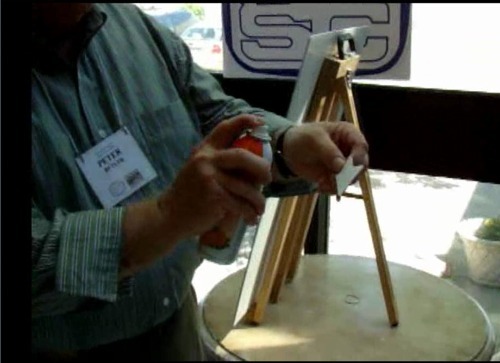 It is therefore great to see Peter Butler, FRPSC (Fellow of the Royal Philatelic Society of Canada) demonstrate on video two different techniques to solve this problem: one using a solvent, called bestine, and the other, using an aerosol (air freshner). Click on the images below to access the videos. They are hosted by www.rpsc.org, the official website of the Royal Philatelic Society of Canada. 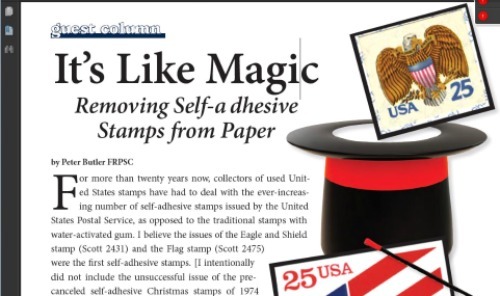 Peter Butler also wrote a great article titled: It’s Like Magic; Removing Self-Adhesive stamps from Paper. Take a few minutes to print it out. It’s a great read that I’m sure you’ll enjoy. Wishing you a great day and happy collecting. 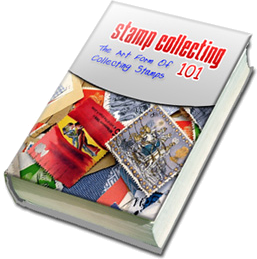 PS: Want to discover the #1 Secret About Stamp Collecting? Easy…just click on the banner below and to watch a short video! 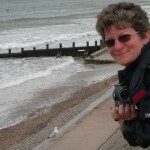 I have a question for Peter Butler re the removal of stamps with the new glue. I would like his opinion on using COlemans camping fluid, which is the equivalent of White spirits, and much the same as Stuarts stamp lift which can be bought on the internet. I met Peter at the St Catharines Royal in 2009 and he kindly gave me a lesson with orange spray which I have been unable to buy….. I would also like to know if he can tell me when exactly the new glue stamps start in the UK (not the machins – ive got that – but the commems, and how to tell the difference. I would really appreciate any help – his video and article are very good and this added information would be marvellous. Thank you and kind regards from St. Catharines. Colemans Camping Fluid is a highly volatile solvent called naphtha, also sold as Ronsonal and Zippo lighter fluid. It works to release the stamps, but white spirit doesn’t. Getting the stamps completely clean after release is difficult. Naphtha is liver-toxic and carcinogenic so should be used only in well ventilated areas, taking care not to get too close. Maybe we should be equally careful with the ‘air freshener’ as well! Hope this helps.